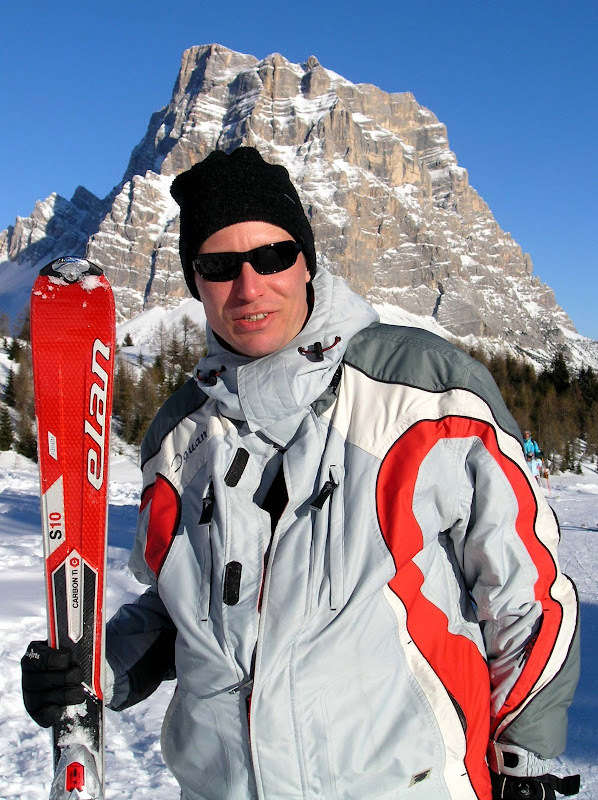 For as long as I can remember I have been using Elan skis. I guess it's because Elan is a Slovenian trademark and they are also making really good skis. They are working on innovations all the time for others to copy afterwards. They say Elan was the first company to introduce carve approach. Now everybody is doing it. Skis of my choice for the last couple of seasons have been Elan S10 Fusion. Even though it wasn't cheap I am very satisfied with the purchase. With them I can easily enjoy throughout a whole day of skiing without getting my legs too tired. Despite of that I think next time I'll choose just a bit stiffer model. 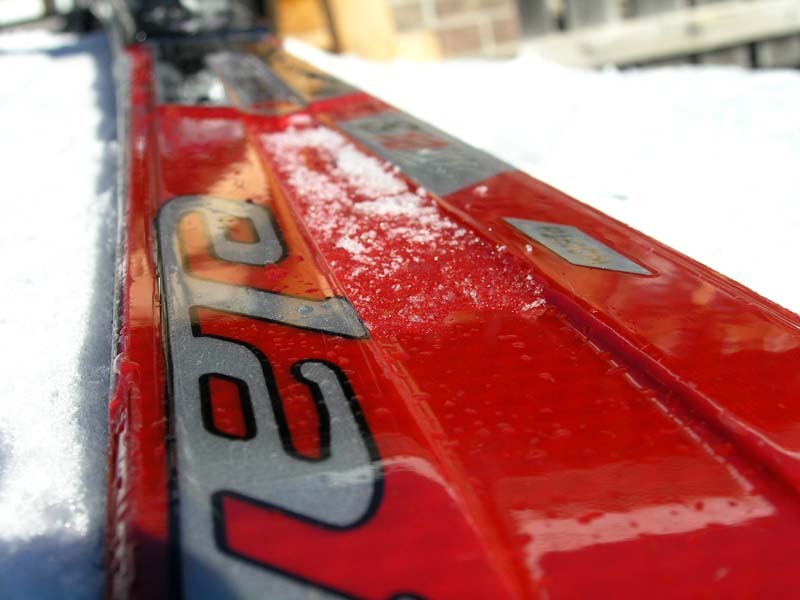 Stiffer skis make you work harder but at the same time offer better grip on hard and icy surfaces. 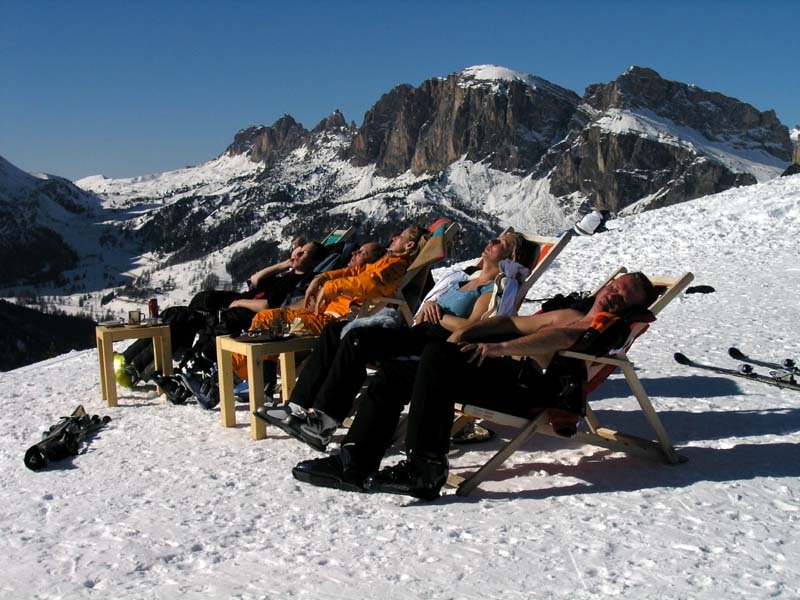 Civetta ski area amongst other things also offers great views of the Dolomites. This is one of the things why I always like to go back to this place. 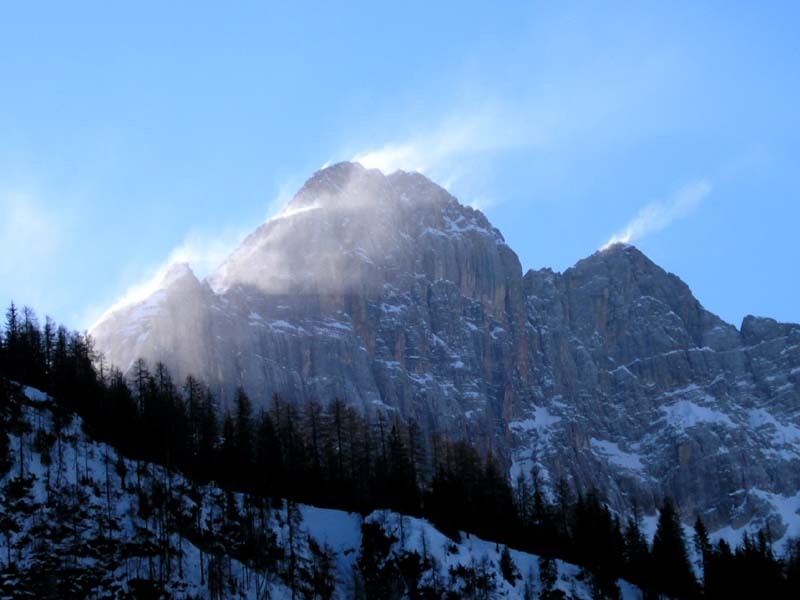 One of the best views of Mount Pelmo is from Civetta ski area. Because of its height (3168 m) and shape, it can be easily spotted even from a large distance. We like the area so much that M. and I are planning a visit to the Dolomites also during the summer months. We are hoping to do some hiking and climbing. I hope you like this couple of nice views captured by my camera. The first one features Mount Pelmo and the second one a windy peak of Mount Civetta (3219 m) - photo was taken from a chairlift. 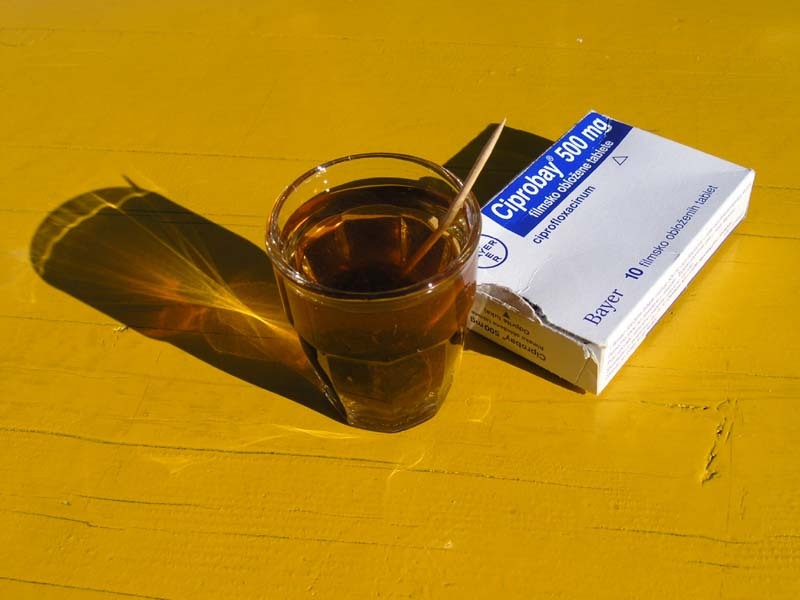 It's time to go skiing again. For the last couple of years we have been going to Dolomites this time of year. 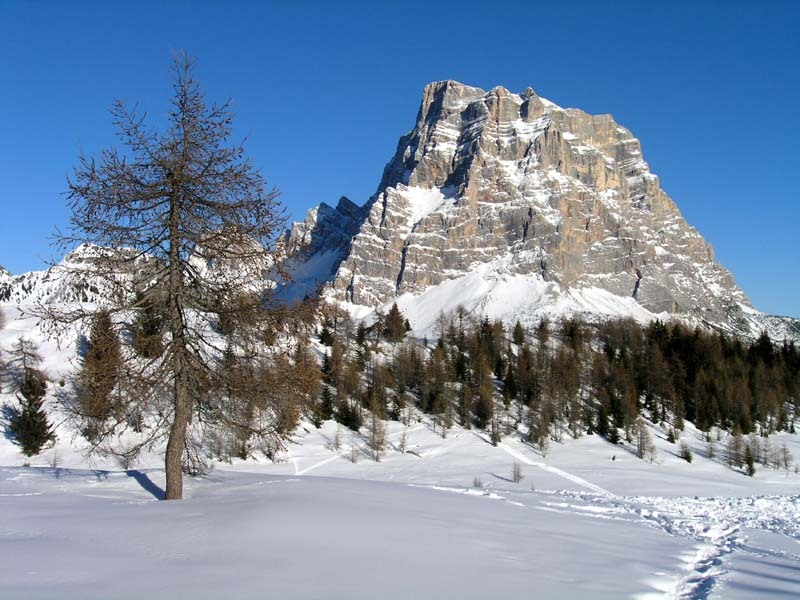 Civetta is the destination of our choice. We obviously like it a lot (otherwise we wouldn't be going there year after year) and we can hardly wait to hit the road tommorrow after lunch. I hope we'll have nice weather and as many nice photo opportunities as possible. If you want, you can check some photos from last year. You can find them on these links: link1, link2 and link3. 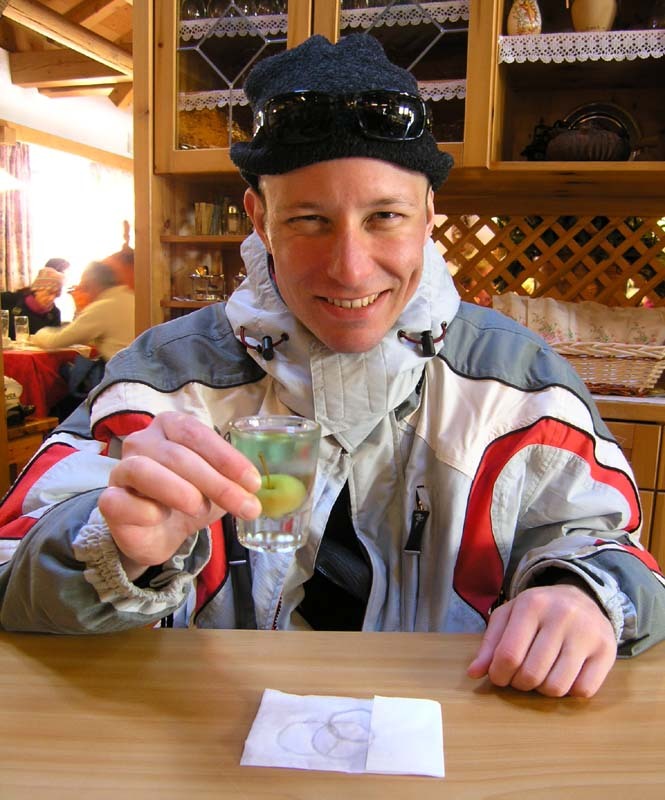 I also published a skiing checklist last year and used it earlier today. I have to say it still works fine. Enjoy next week as much as possible. I know I will. 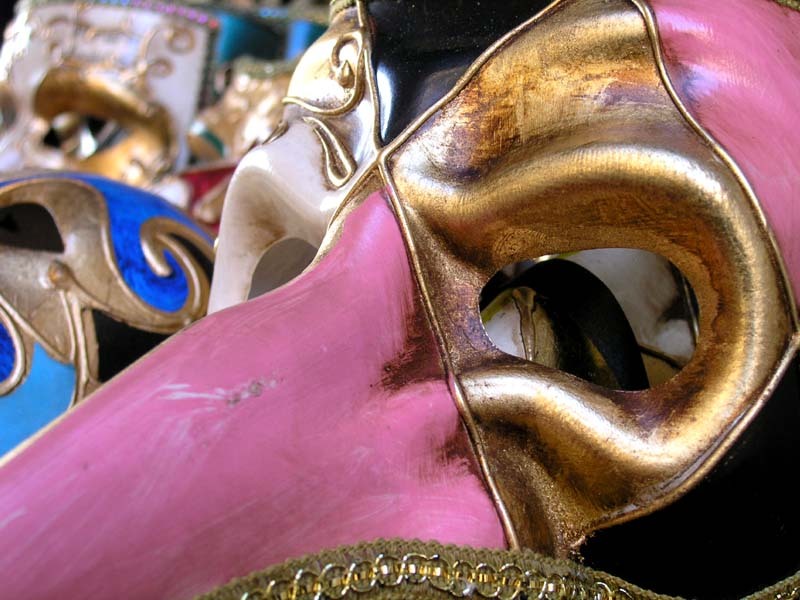 Venetian masks come in many variations, shapes and colors. A visitor to Venice can buy one from a bunch of shops and stalls. For someone who is not an expert, it is quite difficult to distinguish good, quality ones from many cheap reproductions. 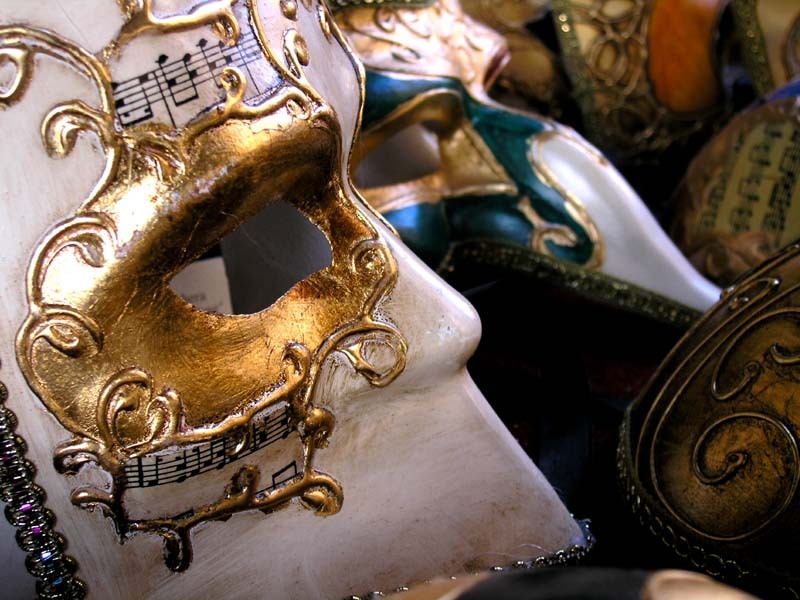 Masks are made from different materials and by using various techniques. Some (the expensive ones obviously) are hand-crafted using a traditional papier mache technique and traditionally decorated. Most of others are made out of gypsum base, which is then painted and decorated. Some come with a certificate of authenticity and others don't. If you care about those things, be careful where you buy. On the other hand if you are only interested in what a mask looks like, you will be able to get one for a much more reasonable price. If you just want to hang it on a wall and do not intend to actually wear it, I guess all those things I mentioned above don't really matter. I leave the decision which kind (if any) to buy totally in your hands. 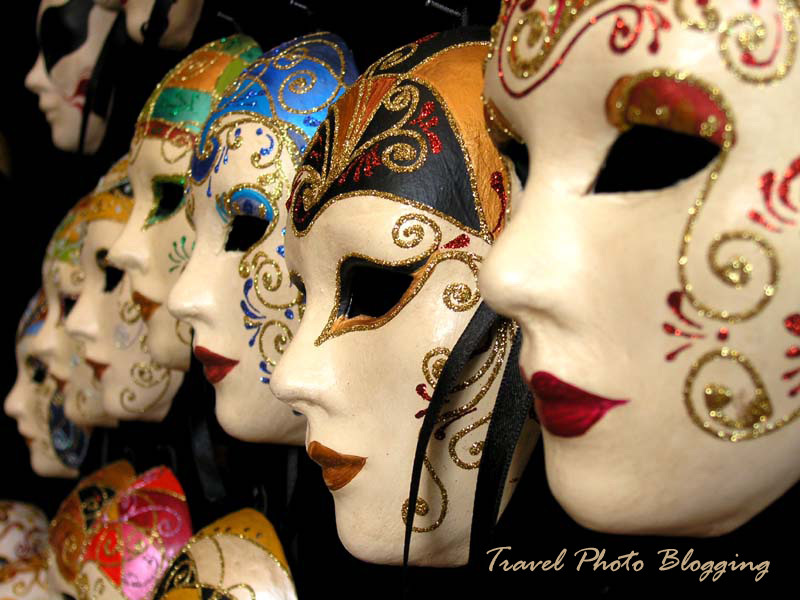 On the photos you can see the details of some of the most popular Venetian mask designs. Pretty neat, aren't they? 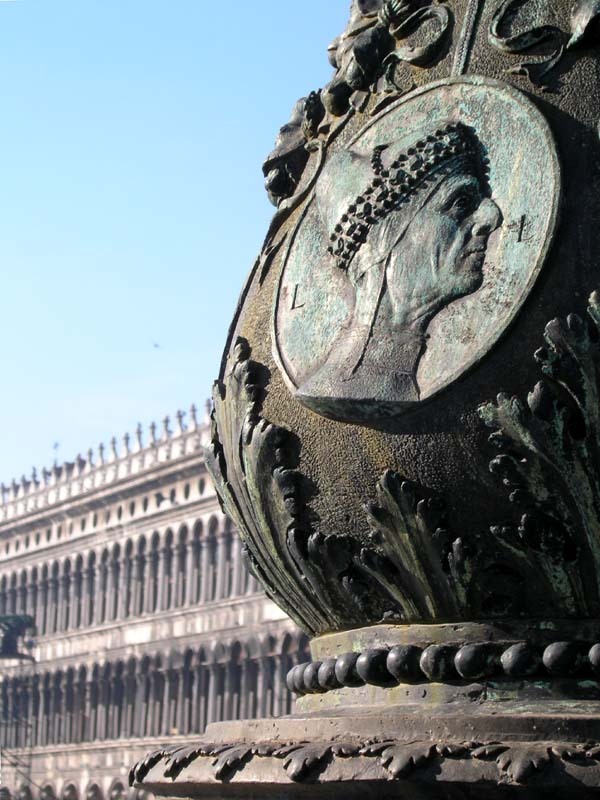 If you liked this post you should probably click on the Venice link under labels to check out more of the similar content. 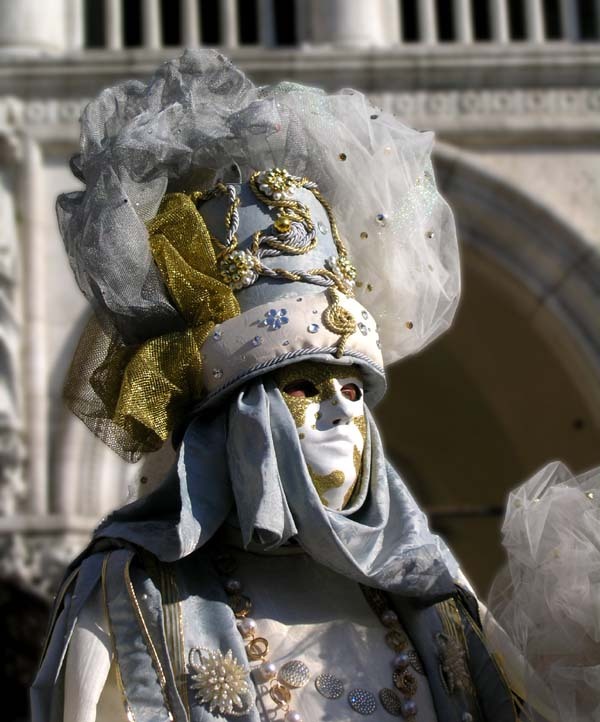 Locals like to show off in their carefully made, rich costumes. They are not the only ones. 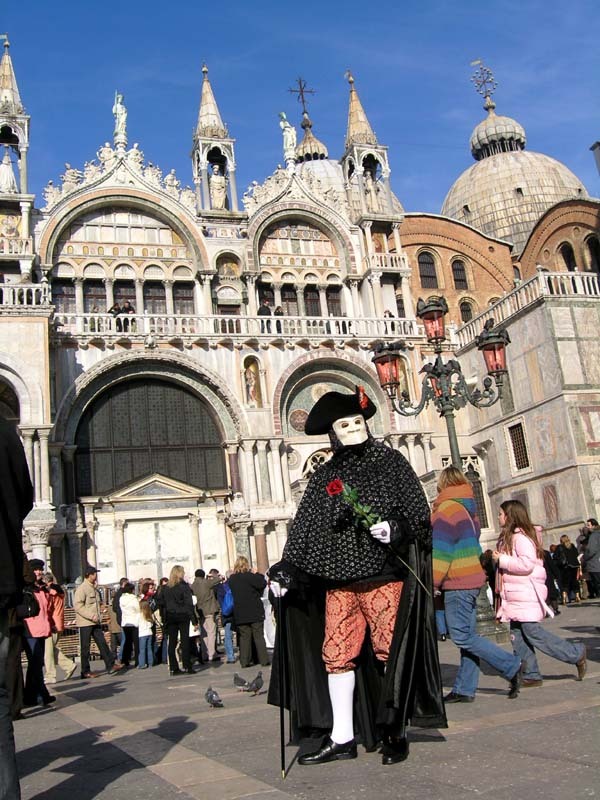 In fact when in Venice you can rent a costume yourself! 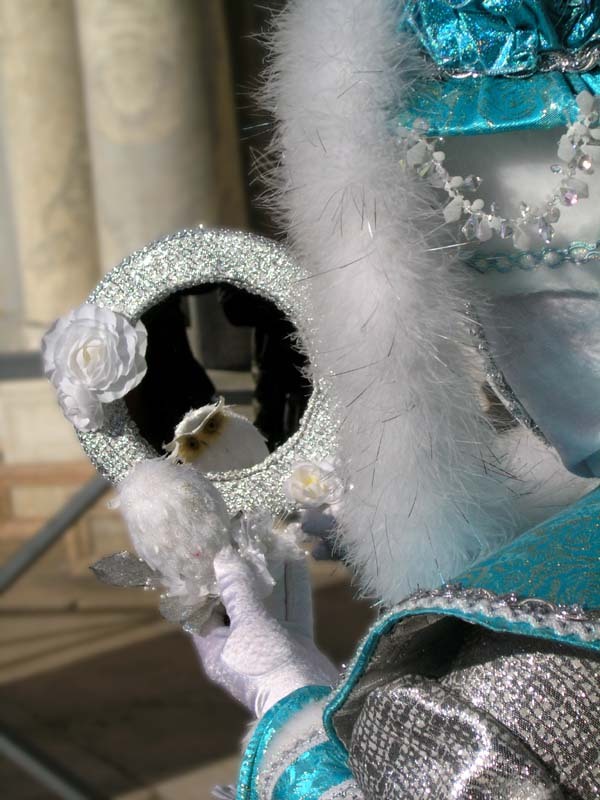 They say Venice looks even better from inside of a costume. 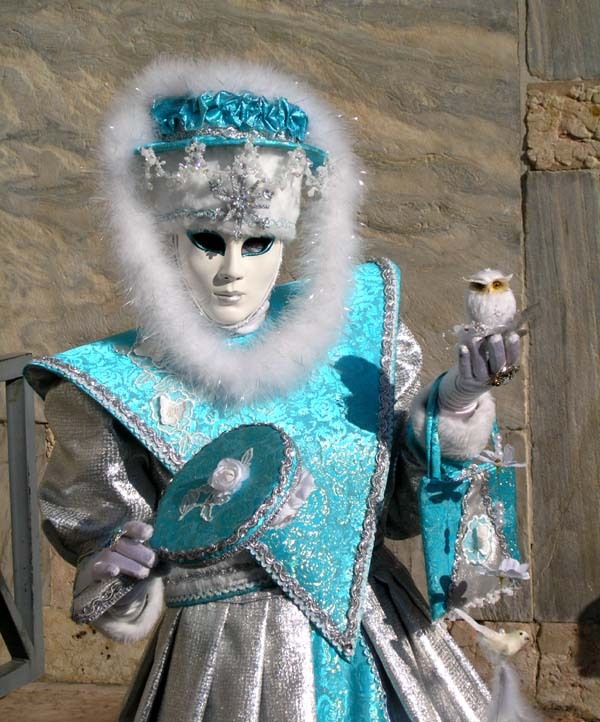 There are many shops and ateliers where you can get your dream costume. You can take a look at one of them on this link. Some of the costumes are really nice replicas of old clothes. There are replicas available even from 1600. It is not cheap, but I guess it's one of those things one would do once in a lifetime, so I guess price should not be such an issue. I didn't buy nor rent a costume, but as you can see, I took some nice photos of the ones in action this year.